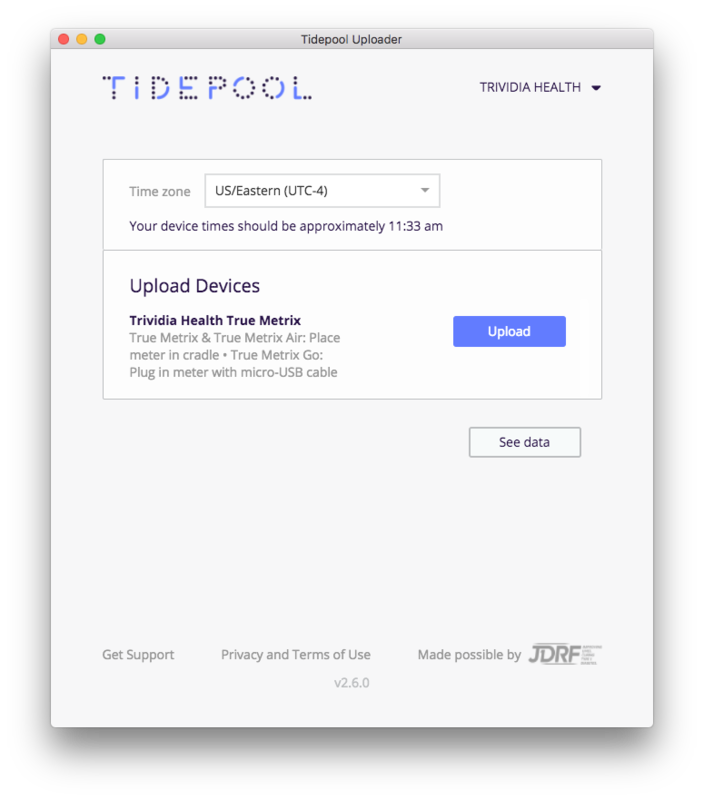 Installed the latest version of the Tidepool Uploader - if you have not installed the Tidepool Uploader, you can download the latest version at https://tidepool.org/uploader. A Trividia Health True Metrix, True Metrix Air, or True Metrix Go blood glucose meter. A USB cradle that comes with your True Metrix or True Metrix Air meter - this is the only way to upload data from those two meters. If you need to order a replacement cradle, we recommend calling Trividia directly at 1-800-803-6025 (their customer service is great). Using a micro USB cable for the True Metrix Go or the USB cradle for the True Metrix or True Metrix Air, connect your meter to one of your computer's USB ports. 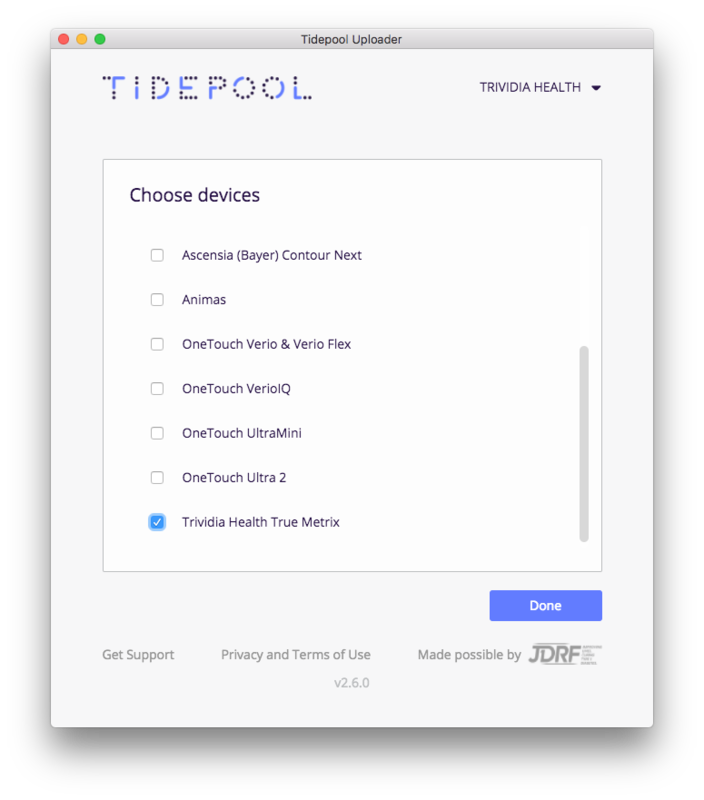 Confirm "Trividia Health True Metrix" is one of your Devices. You can change your devices by selecting "Choose Devices" from the menu under your name. Select this device for all supported Trividia meters. Confirm the Tidepool Uploader is set to the right time zone. Click "Upload" to upload your data. After the upload is complete, you can upload another device or click "See Data" to see your uploaded data.